However, USB 1.1 cannot do stuff like virtual serial ports or mass storage devices, these require USB 2.0, sorry. The easiest and most useful are HID devices. Such as a USB keyboard (link to another tutorial). Today, keyboards have multimedia keys, such as play/pause or volume control. I will show you how to combine a Trinket and a rotary encoder to create a USB volume control knob. Connect Trinket's ground to the rotary encoder's common pin. Connect Trinket's pin #0 to the rotary encoder's "A" signal pin. Connect Trinket's pin #2 to the rotary encoder's "B" signal pin. It's that simple! If you want, you can put it into a little box, or make a desk stand for it, or mount it on your PC tower, be creative. These encoder signals will be "active-low". Each of these signals is a switch inside the rotary encoder. Active-low means the other end of the switch is connected to ground, such that when the switch is "closed", the pin value will read low. We will be using the Trinket's internal pull-up resistors so when the switch is "open", the pin value will read high. 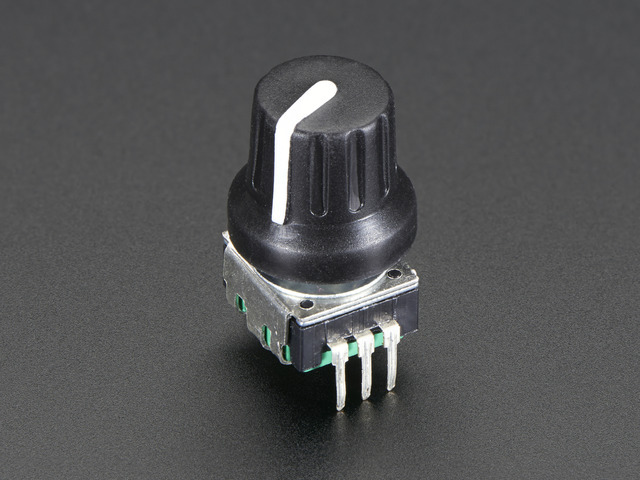 The rotary encoder sold in the Adafruit store has a shaft that is also a button! To extend on the first example, the second example sketch will use this feature to add a mute function. The newer code is the same old code but adds the mute button function. Trinket is based on V-USB. It is a bit-bang implementation of USB. The generation of signals is done through assembly code, outputting 1s and 0s to the USB signal pins with precise timing. V-USB is designed for AVR microcontrollers without native USB capabilities. USB signals have tight timing specifications that must be met, which is why the timing critical portions of V-USB are written in assembly code. Assembly instructions have predictable execution times and thus it is easier to calculate timing. This is what makes V-USB so cool! 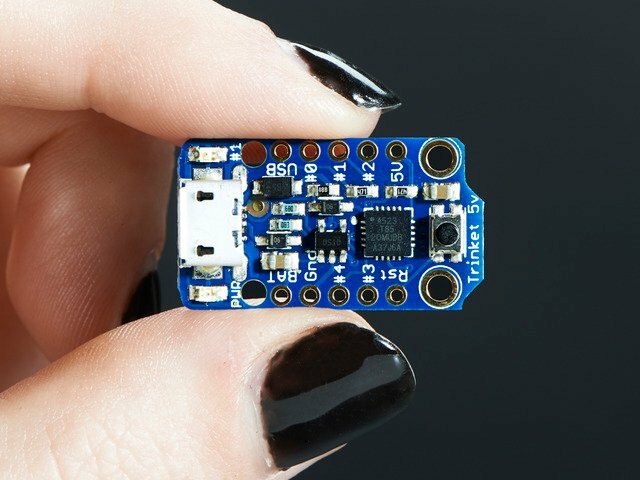 Most of the microcontrollers on the market with native USB are big, but V-USB can turn a 8 pin ATtiny85 into an USB device! Trinket can do almost any of those projects, as long as there are enough pins and enough flash memory to use. Beware however, like I've mentioned in the overview, V-USB is only capable of creating low speed USB 1.1 devices. 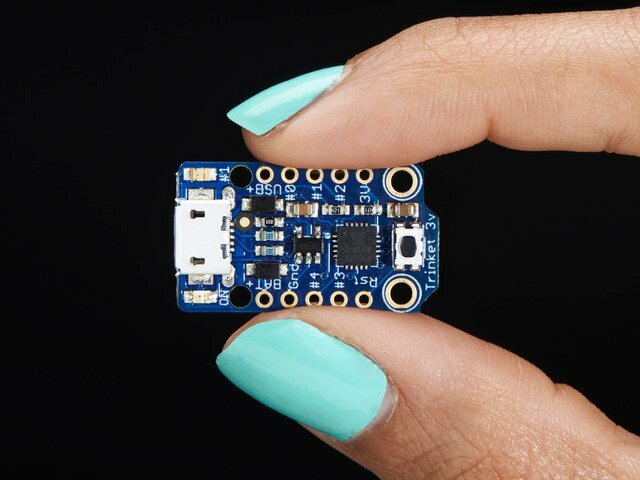 If you need to create USB 2.0 devices, you need a microcontroller with native USB such as the ATmega32u4 (used in the Arduino Micro & Leonardo), not "bit-banged" USB. This guide was first published on Oct 10, 2013. It was last updated on Oct 10, 2013.